The first thing is to add a food to a meal like normal. 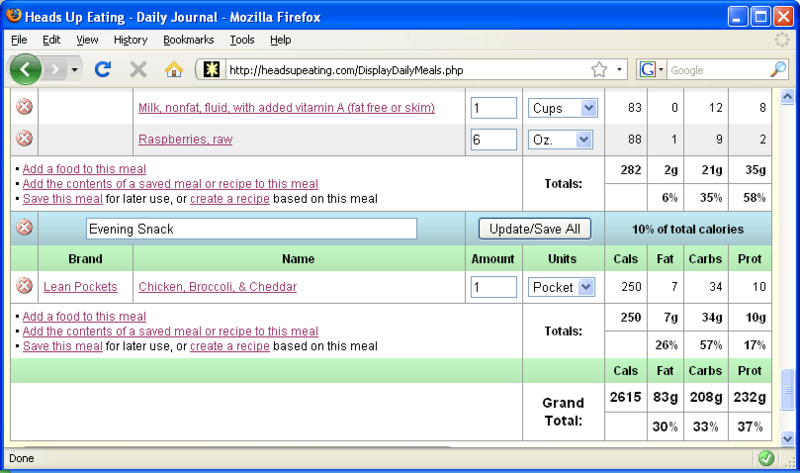 Click on Add a food to this meal from any meal in your daily journal. This brings up the Add a Food page. 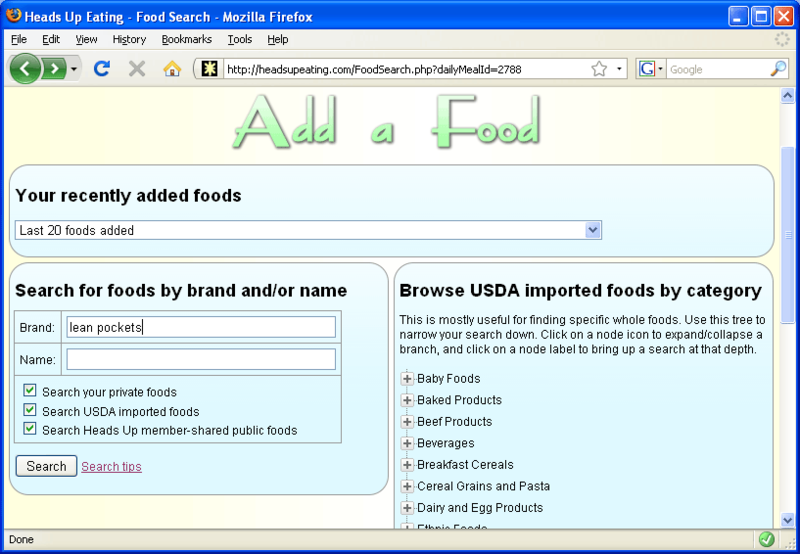 Here you can search for your food to see if it is already in the database. In my case, I'm looking for "Lean Pockets Chicken, Broccoli, & Cheese". I'll go ahead and just search for "lean pockets" in the brand field and hit Enter. My search results are shown. 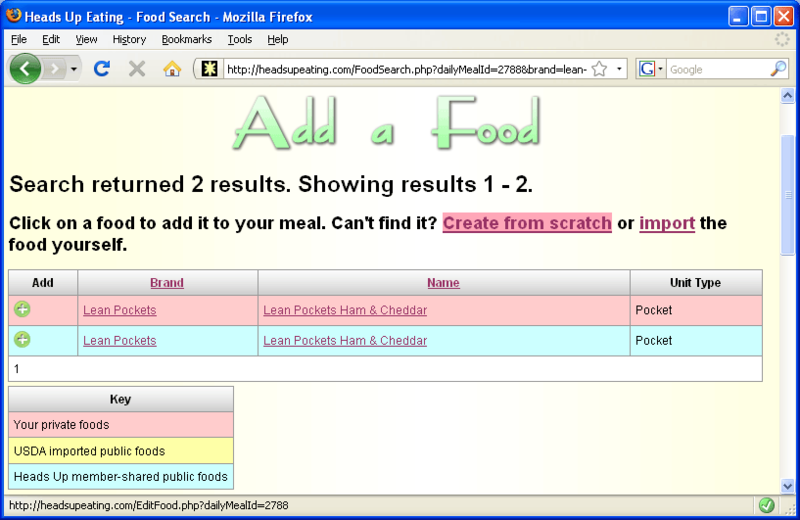 There is already a Lean Pockets in the database, but not the particular one I need. 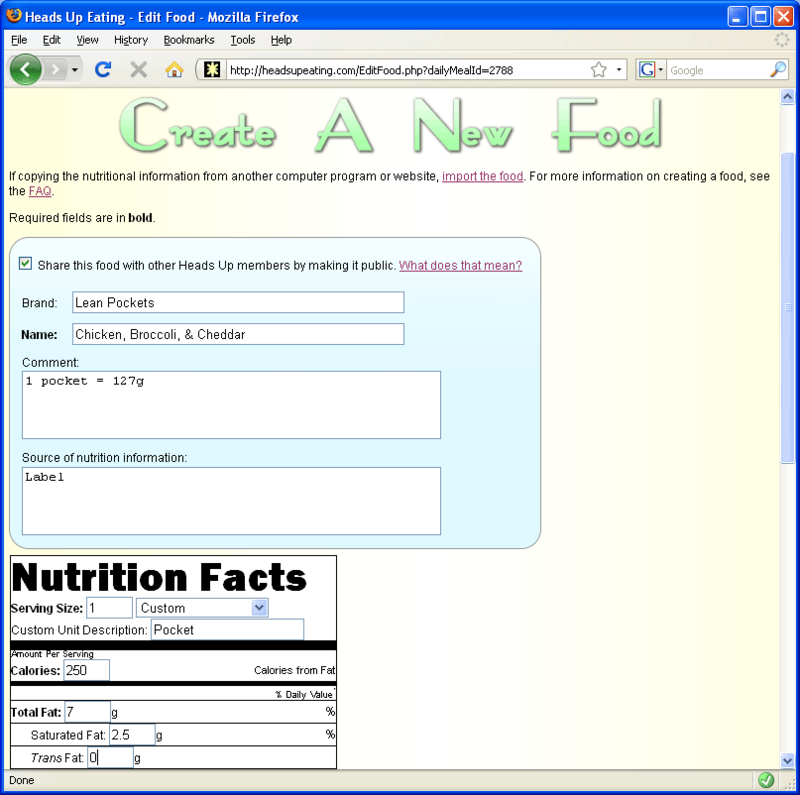 I will go ahead and create the food myself by clicking on Create from scratch, where I will be able to enter the information in the nutrition label on the package. 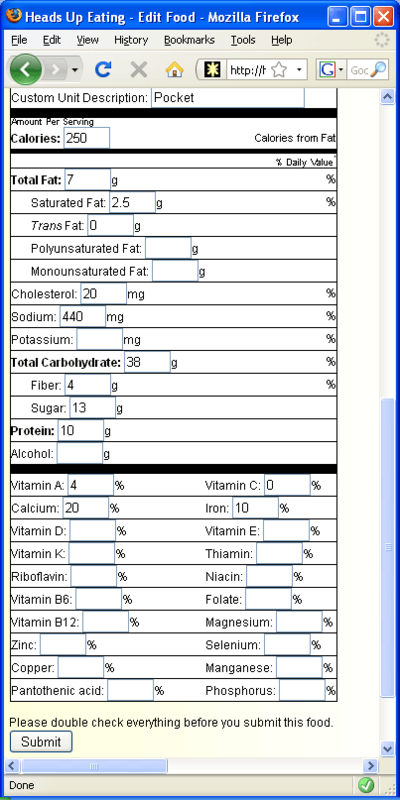 If you've found the nutrition label online, you may cut and paste it into StayCut.com using the import feature (really cool), but in this case I only have the package in front of me. This brings up the Create a Food page. Here I will copy the nutrition label directly from the package. There is a field for comments if you wish to add any useful information, as well as a source field for listing the source of your info. Web URLs are accepted here. Notice here I'm using a custom unit of "Pocket". This is convenient if the food is normally eaten as an entire unit, instead of by weight or volume. You may also choose whether to share the food with other members by making a public copy. When you are done hit Enter or click Submit. Now my food is created and it is automatically added to my meal. From now on, I may add it to any meal just like any other food. 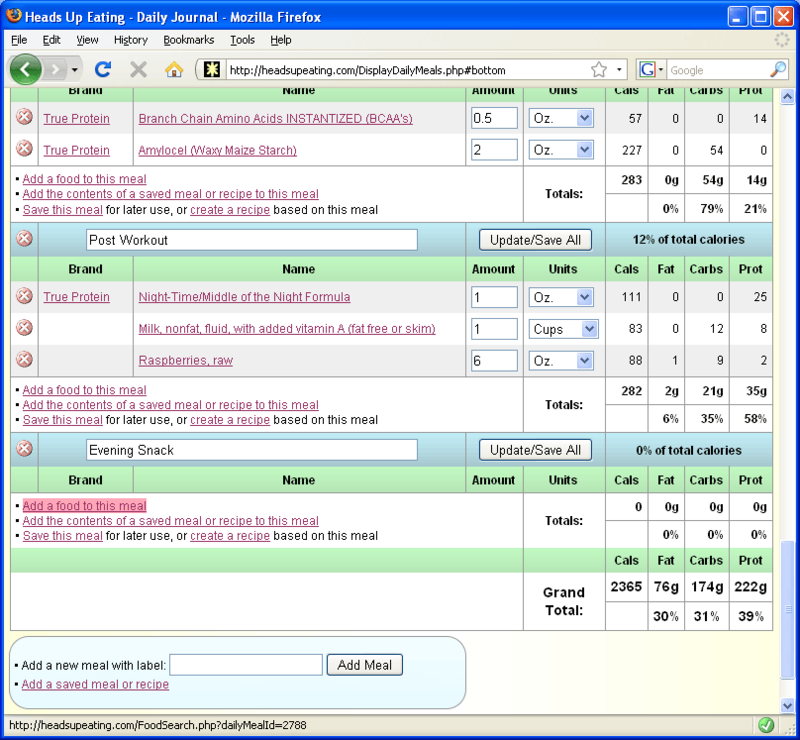 For help getting started adding meals and foods, see the tutorial.